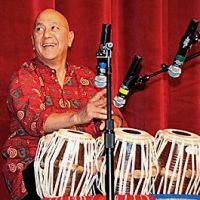 Additional Info: Vancouver based percussionist (tabla) planning to revisit Toronto area in August for 2 weeks and open for unrehearsed duets / ensembles with drummers and musicians. 1. Hari Pal & Han Bennink at Vancouver Int. Jazz Fest 2007 . Please note that Mr. Han Bennink is a world renowned drummer from The Netherlands. He the top talent but a bit eccentric as well. His eccentricity drove me to do all those funny thing in this video.